Overview: The Pahari languages are a geographic group of Indic languages spoken in the lower ranges of the Himalayas, from Nepal in the east to the Indian states of Uttarakhand, Himachal Pradesh, and Jammu and Kashmir in the west. Nepali is the most widely spoken Pahari language. 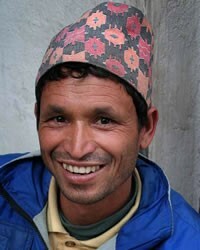 The Nepali-Pahari people cluster encompasses the large Nepalese people groups along with numerous Pahari-speaking peoples, a majority of whom practice Hinduism.